Valentino, Valentino, Valentino. We need thousands of pages and countless hours to even consider embarking on writing about this empire. A name so close to a woman’s dream of everything about elegance, poise, sensuality, character, femininity and all that she strives to be. Many will tell you that it is this name that women strive daily to be a part of and feel like a pure Valentino Woman. For many of us, Valentino is a symbol of everything we look up to and dream about while getting dressed to go to work or putting on that fairytale white dress that makes you feel like the best version of yourself. It is much more than just an Haute Couture brand, it is about always wanting to be the illusion of the perfect woman that wears Valentino. So what is it about this female that is idolized so much? It is simple she is the first lady/Jackie Onassis, she is an Oscar Winner /Julia Roberts, she is Hollywood glamour & family/Gwyneth Paltrow and of course she marries a Prince/Marie-Chantal of Greece. Yes this empire accompanies the dream once it is realised. It is the wonderful sensation of what happens after you have accomplished that idea of happily ever after in every chapter of your goals. To understand the vast world behind the name you first have to know the man, then the attention to detail and finally the glamorous world of femininity. With this in mind, the internationally renowned design team Kinmonth Monfreda, long time collaborators of Valentino have created the exhibition design ‘VALENTINO: Master of Couture’ specially for the magical Somerset House in London. This unique exhibit realised in collaboration with Valentino and Giancarlo Giammetti has been curated by Alistair O’Neill with Patrick Kinmonth and Antonio Monfreda. Due to open its doors on the 29th November 2012 (till 3 March 2013), this preparation is like none other ever seen before. The story behind the name is divided into three parts. Previously unseen personal photographs, couture invitations and images of the man associated with his signature ‘Valentino Red’ at work and play from his personal archive. For the Master of Couture, the galleries will be transformed into a glamorous couture catwalk. In a clever reversal of roles each visitor takes the place of the model walking along a sixty-metre runway who will in fact view the ‘audience’, all of whom will be dressed in Valentino Couture. 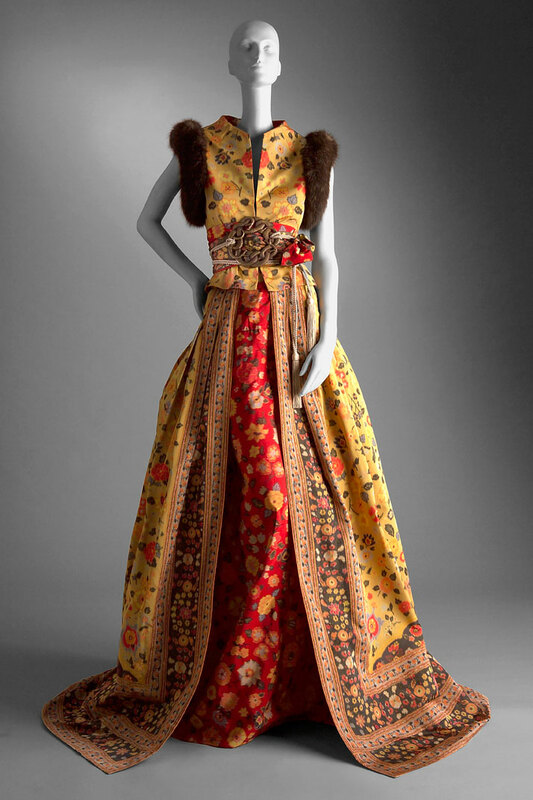 This will be a journey through fashion from the 1950s to today. Walking down the catwalk, visitors will see Princess Marie-Chantal’s exquisite wedding dress made with ten different kinds of lace. Beyond this, there will be a room dedicated to Valentino’s current passion, the Valentino Garavani Virtual Museum, which will allow visitors to explore his legacy even further through interactive and multi media content. In the final room, visitors will have the opportunity to see the atelier behind the scenes through a series of specially made films that show the artistry of the couture techniques that go into making a Valentino gown, in every minute detail. This includes the budellini technique, which is unique to Valentino. Hundreds of hours of work go into each Couture gown made in the Valentino atelier. Having been awarded Italy’s highest distinction, otherwise known as the Cavalier di Gran Croce and France’s Chevalier de la Légion d’honneur, in 2008 this Master retired from his long fashion history. Since then dreams have not stopped being realised and his empire is still accompanying them. 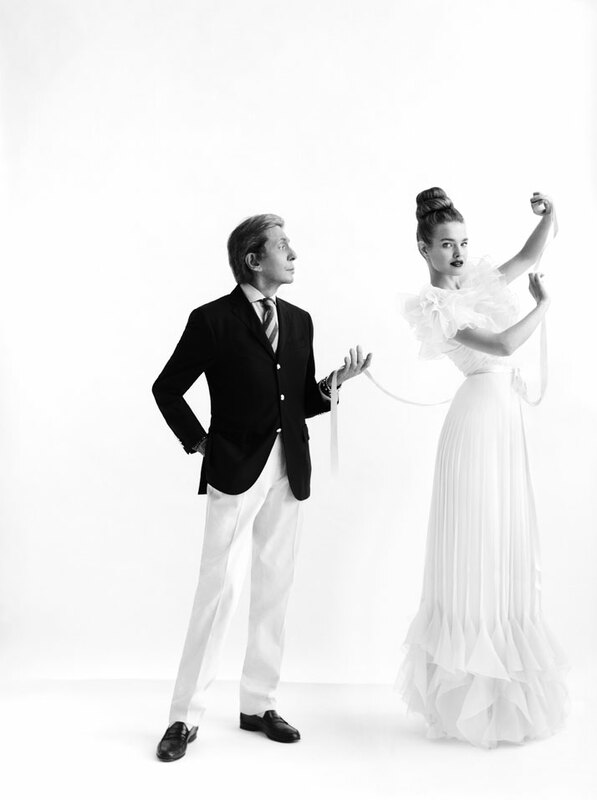 Valentino - our Master of Womanly Perfection.